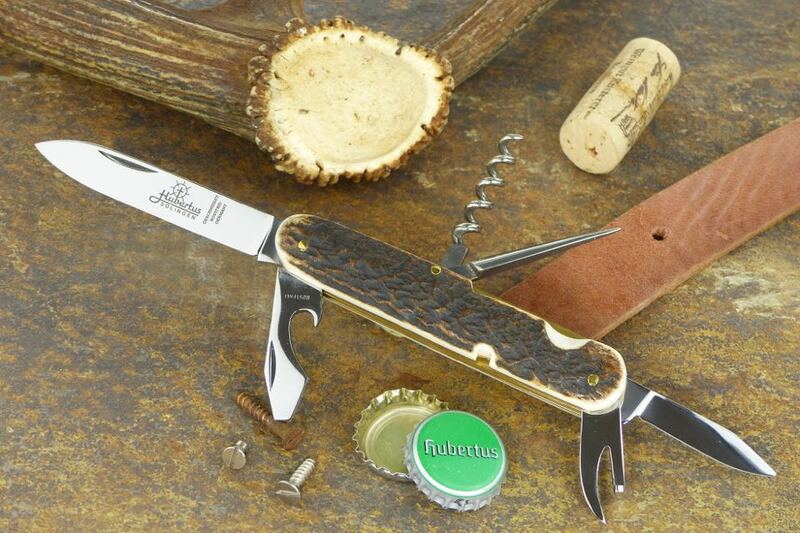 You are here: Homepage "EN" > Products > Pocket Knives > Series "73"
"Soldier's knives", "maneuver knives", "army knives" or "tourist's knives" are common terms for multi-bladed universal pocket knives manufactured in Solingen since the 1890s. They all originate in the pocket knife which later became known world-wide under the term "Swiss Soldier's Knife"
From summer 1890 on different pocket knives of the company Wester & Co from Solingen were field-tested in military training schools of the Swiss army. 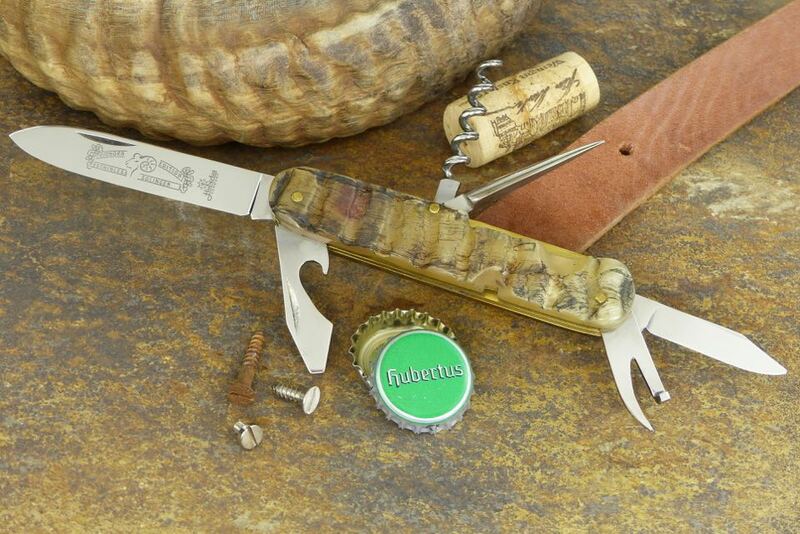 At the end of the year 1890 the Swiss military department decided to order one of the tested knives of Wester & Co with four functional devices: blade, screwdriver, can opener and awl. 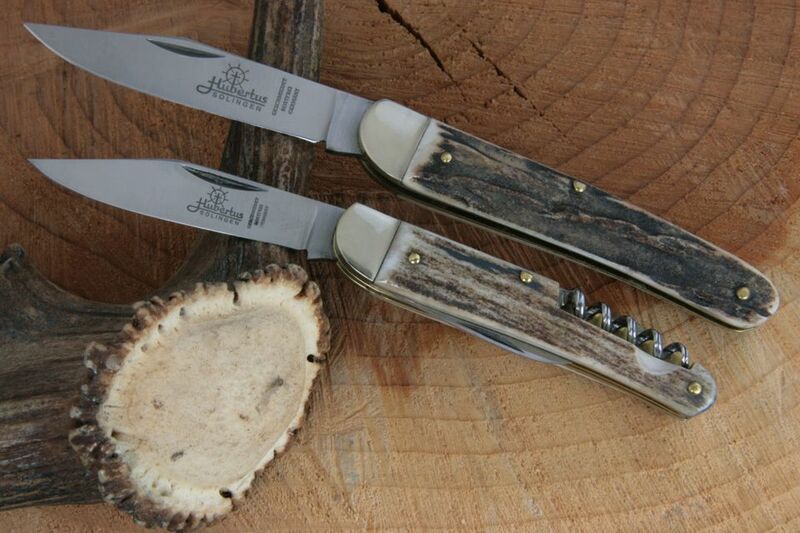 The first 15 000 soldier's knives with handle slabs of black colored oak wood were ordered in 1891 at Wester & Co. 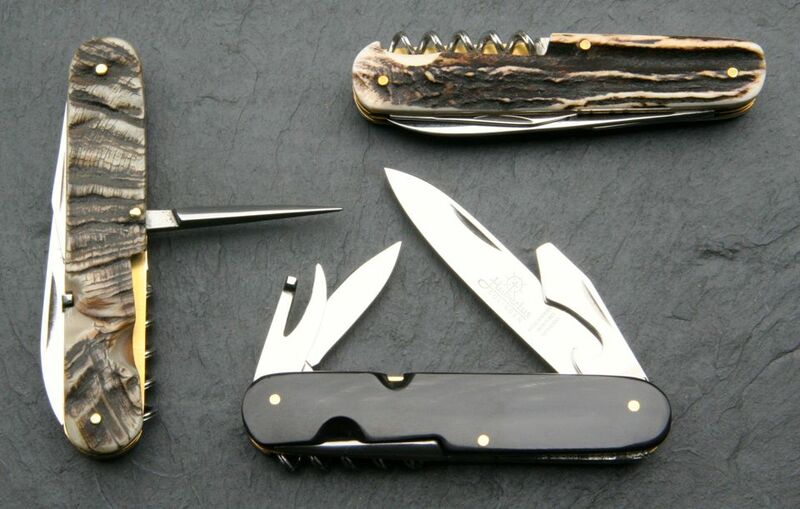 In Germany the personal equipment of soldiers with a pocket knife didn't take place until the 1960s when the German Bundesamt für Wehrtechnik und Beschaffung (Federal Office for Military Engineering and Procurement) made the decision in favour of the Swiss company Victorinox. 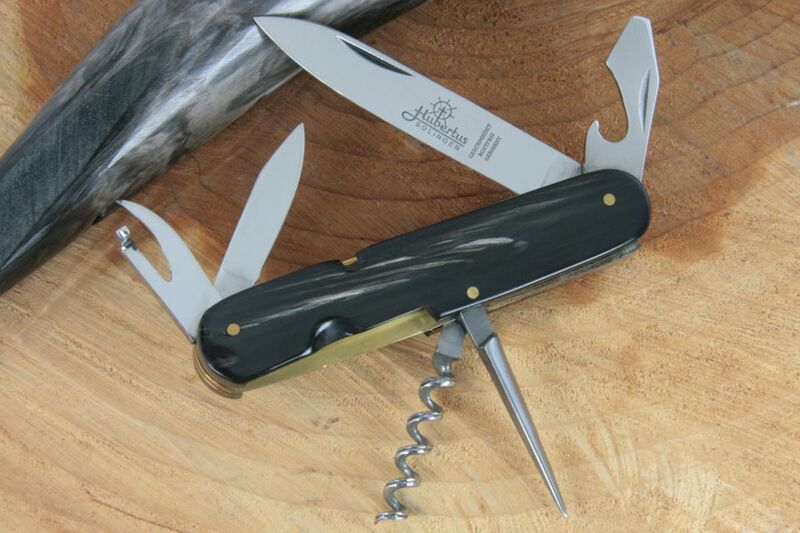 small pen blade 4.5 cm / 1.77"